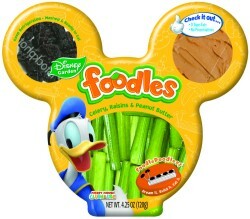 Rumor: Is Foodles Productions Ltd. Really Episode VII? "In a move similar to the Prequels (JAK Productions) and Return of the Jedi (Blue Harvest Productions) the film is in pre-production under a pseudonym: Foodles Productions Ltd, a company registered on 26th March 2013 to the Disney headquarters in London." Continuing their investigation they have found more and more evidence supporting this theory. You can read it here and here. This is certainly a fascinating investigation and we'll keep you updated on it. It certainly makes sense that Lucasfilm would be secretive regarding the filming of Episode VII, this very investigation is proof of why. And it's something that's been done before, the most famous being ROTJ being called Blue Harvest during production, so it's no stretch to think they'd try it again.